Choosing the right school for your child is an important decision and not one to be made lightly. There are great opportunities and life experiences offered by both state and independent schooling and the best schools from both sectors are providing an outstanding education to their pupils. However, the truth is there are not enough outstanding state schools in the region to offer these opportunities. 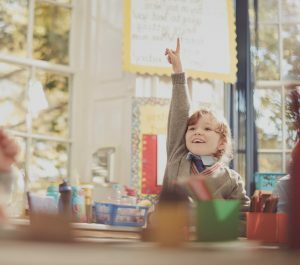 Recent research has demonstrated that attending an independent school in England is associated with the equivalent of two additional years of schooling by the age of 16*. With this in mind it’s easy to understand why more and more parents are choosing an independent education for their children. Academic excellence is the foundation to an exceptional education. Red House School has academic excellence in abundance. We pride ourselves in offering an education that not only results in academic excellence but prepares pupils with life skills and confidence to excel ensuring they shine at every opportunity. Red House School offers a well-rounded and balanced education, academic results are certainly important, but an essential part of the education children receive is formed through the sporting, co-curricular activities, school trips and excursions they experience. The wider opportunity available to our pupils to be part of sports tours, ski trips, choirs, public speaking and musical performances is an education in its own right. To ensure Red House is accessible and affordable our fees remain lower than any other independent school in the area for children aged 3 – 16. We always ensure our pupils receive the best education and the parents receive value for money throughout all aspects of school life. There is often a misconception that only the very wealthy can afford independent schooling, this isn’t the case. There is a diverse range of families attending Red House, many of whom make lifestyle sacrifices to fund their child’s education. What makes Red House truly unique is the renowned ethos and spirit of the school. This nurturing environment allows us to capture and develop the curiosity and love of learning of each child right across the school. Our positive and supportive environment creates a unique family atmosphere, which is apparent from the moment you are welcomed into the school. We are not restricted by the National Curriculum allowing us to provide a broad and dynamic bespoke education. We believe this is vital in developing children’s interests and talents, whilst ultimately preparing them for their GCSE’s. This also allows us to build a personalised curriculum for each and every pupil to truly target each child’s strength and potential weakness. We appreciate the difficulty in choosing the right school for your child. Every parent wants the best in all aspects of life for their child that is why so many are attracted to Red House. Don’t just take our word for it, the best way to appreciate the welcoming and friendly ethos of the school is to experience it first hand. You don’t need to wait for an Open Morning, simply call our Head of Admissions, Claire Bellerby, who would be delighted to give you more information on this wonderful school and to arrange a visit so you can see the school in action.